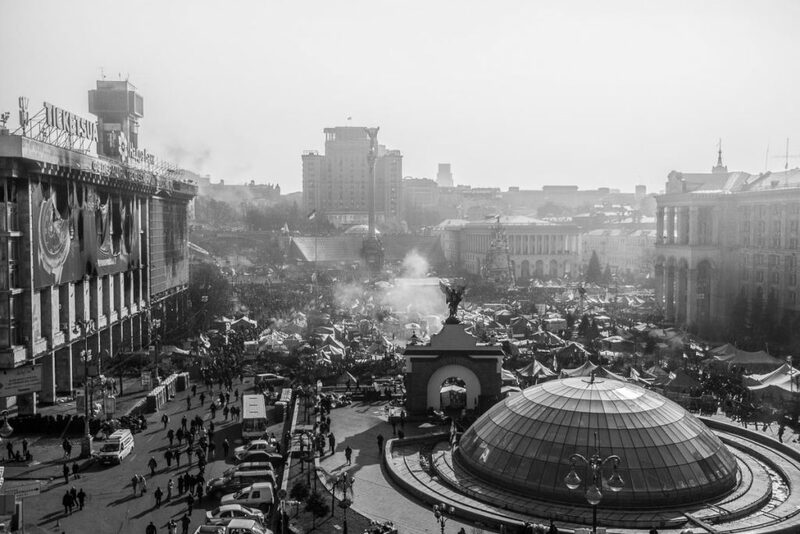 Ukraine, Kiev – 2015. During the Euromaidan revolution of 2014/15. This is the morning after the bloodiest clash in the Maidan. On the previous day over 80 people were killed. Defending themselves with only wooden shields and construction helmets, many were shot by snipers with high velocity rounds.